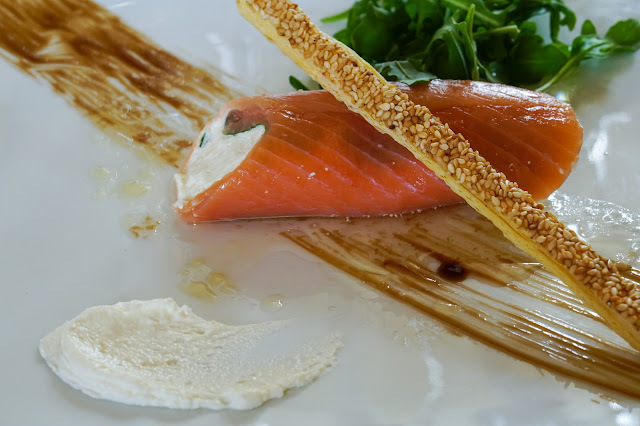 The Aquitaine region straddles a prominent position in the southwest of France; stretching long and lean against the Atlantic coastline, touching the Pyrénées mountain range and transcending to the Spanish border. Where it is composed of the five departments: Dordogne, Lot-et-Garonne, Pyrénées-Atlantiques, Landes and the Gironde. 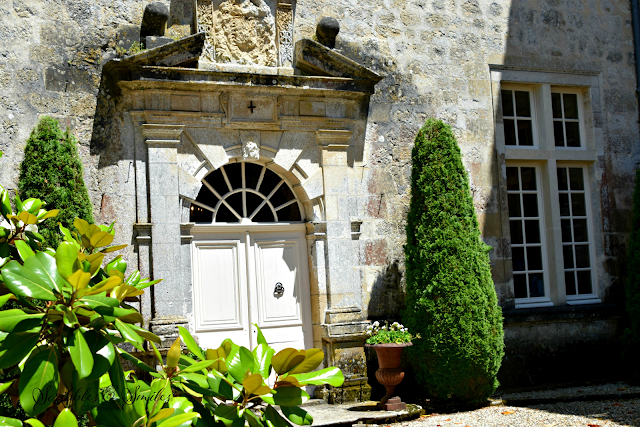 Some of Europe’s most beautiful cities, stunning beaches, and vineyard-laced landscapes are in the storied Aquitaine. From châteaux, castles and breathtaking scenery, this alluring region is an oenophile’s paradise and every traveler’s dream. 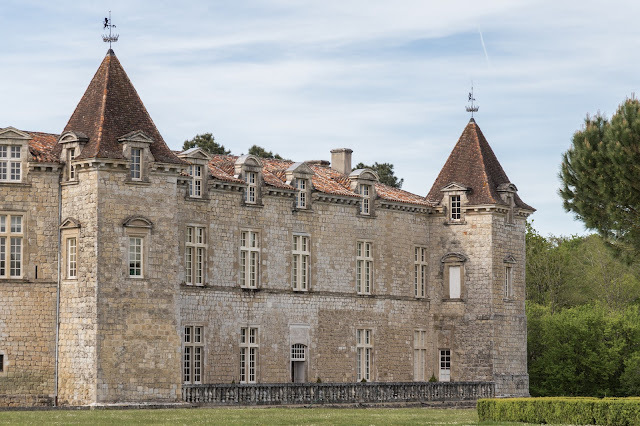 In the heart of the Aquitaine, between the wine regions of Bassin d’Arcachon and the Sauternes vineyards, is the historical Château Royal De Cazeneuve; a family jewel of the Duke of Albret. First built in the eleventh century, and later residence of Henry IV and where Queen Margo stayed; while awaiting their official divorce and where history lives on. Today this fortified castle remains a family legacy – cascading down through descendants, of the ducal family de Sabran-Pontevés. Royal Castle of Cazeneuve located in Préchac, Gironde department, only 52 kilometers from Bordeaux – awarded with the benchmark of Tourism in Aquitaine, and with the prestigious two-star Michelin Green status; as well as, the bestowed honor of Historical Monument. Here individual, private, and group tours are received; along with bespoke gala dinners, weddings and seminars, all by appointment only. After our recent tour of the castle-fortress, medieval cellars, troglodyte caves, and royal apartments, we entered the castles large vaulted reception room. Inside the walls are honeyed limestone, warmed by a medieval fireplace, accented with red velvet chairs, luminous chandeliers and silver candelabras. Here tables are bejeweled, a feast for the senses, with sparkling stemware and silver for pairing Bordeaux’s sweet wines - Sauternes. 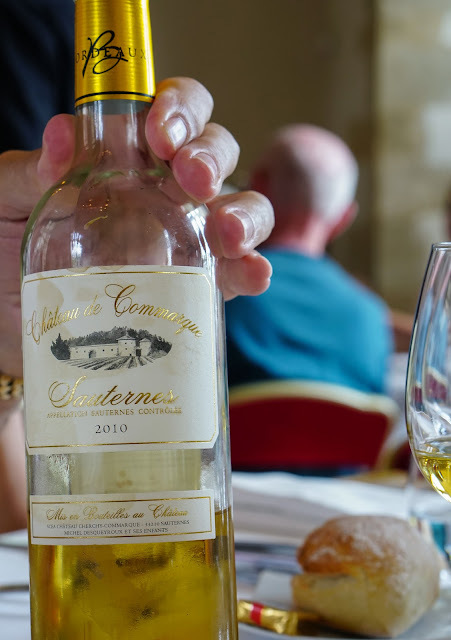 Sauternes is a French sweet wine taking its name from the Sauternes region and Graves area in the Gironde department. 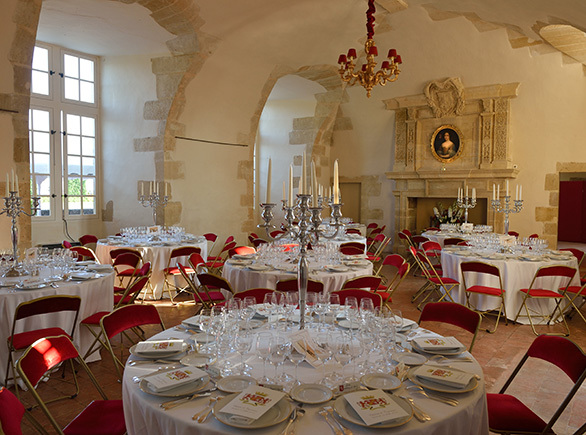 Historical Royal Castle of Cazeneuve, in partnership with La Maison du Vigneron de Sauternes, reserved for us an artisanal wine-pairing luncheon fit for a King and Queen: enjoyed by J. Christina, Mr. Christie and our dear friends, Nancy and Frank. Pairing Reserve Classique, Sauternes - with ribbon of smoked salmon with creamy horseradish emulsion, along with Classified Growth of Sauternes, to complement cilantro caramelized hen supreme, and a finish of Peach Melba on a wine barrel stave with crunchy praline – all crisp and balanced with Reserve Old Vine, Sauternes. 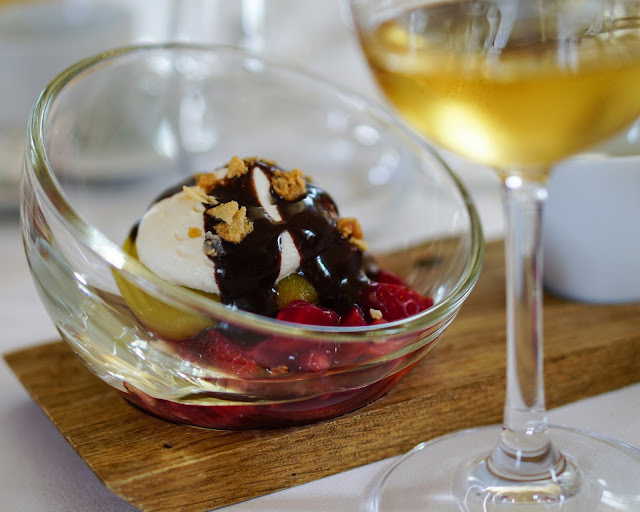 This gilded sweet wine comes from a mix of Semillon, Sauvignon Blanc, and Muscadelle grapes that have ripened until aromatic and sweet by the Botrytis cinerea or more commonly called, noble rot. 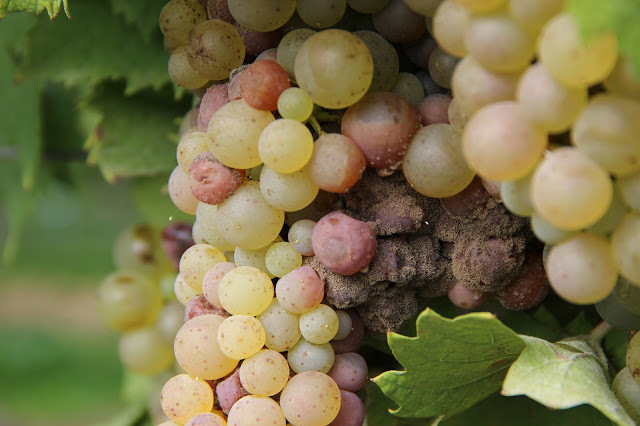 Noble rot is a welcomed fungus by winemakers, enhanced by moist conditions from the maritime climate of the Aquitaine, accompanied by low-lying misty fog, from the Ciron and Garonne rivers and specific terroir-viticulture. With this magical combination, grapes shrivel, resembling wrinkled raisins, resulting in fine and concentrated sweet wines of the Sauternes region. The Aquitaine capital city of Bordeaux is among the most diverse regions of France. 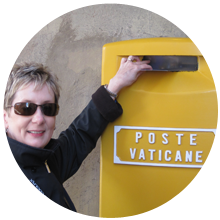 This appellation offers unparalleled riches, alluring countryside, storybook castles, and hilltop villages, all waiting for travelers and wine connoisseurs from around the world to enjoy.